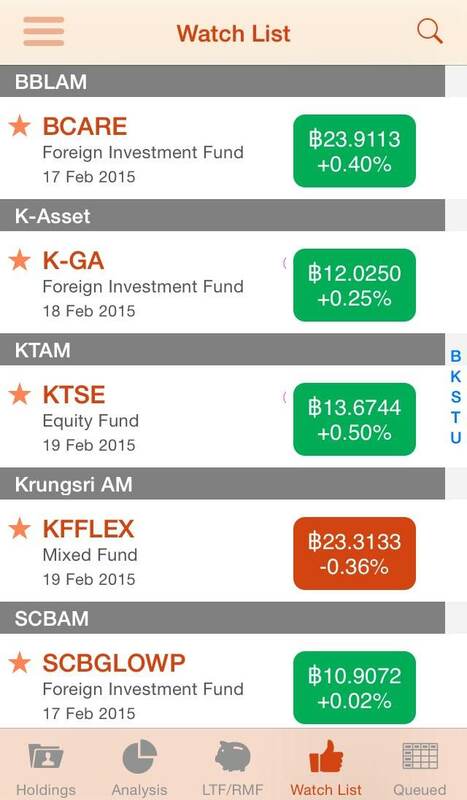 Track your Thai mutual fund portfolio! Keep track of your personalized holdings. 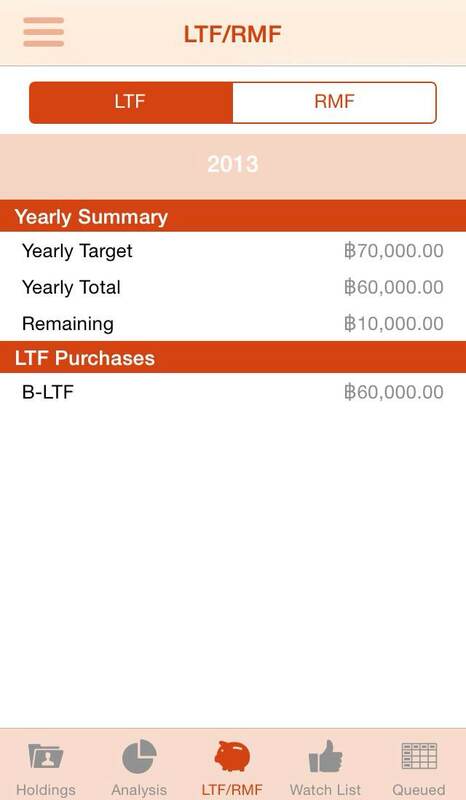 Keep track of your LTF/RMF fund purchases each year. 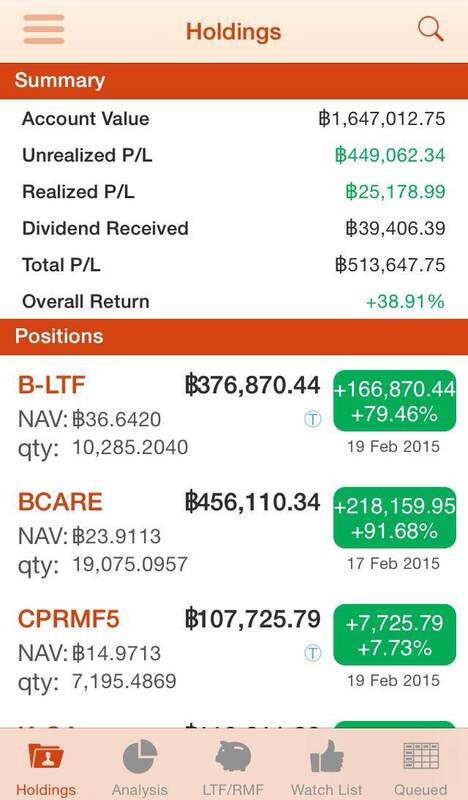 Maintain a watch list of funds you are interested in. 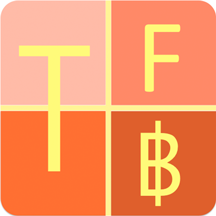 Add fund transactions before their prices become available! 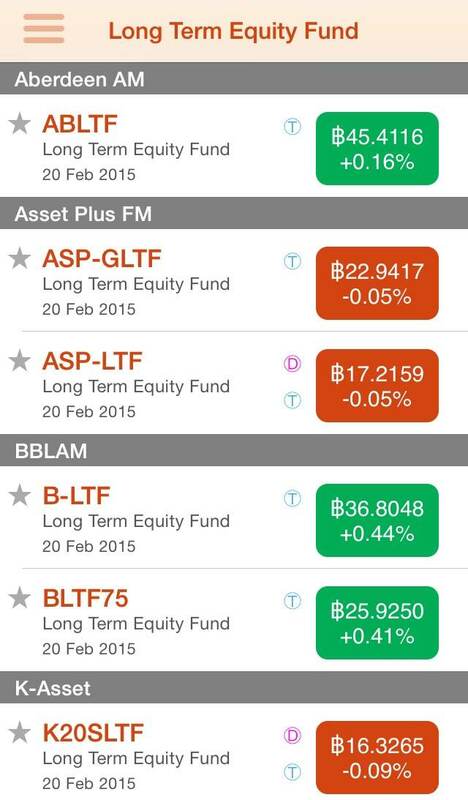 View general funds' price info and their past performances. 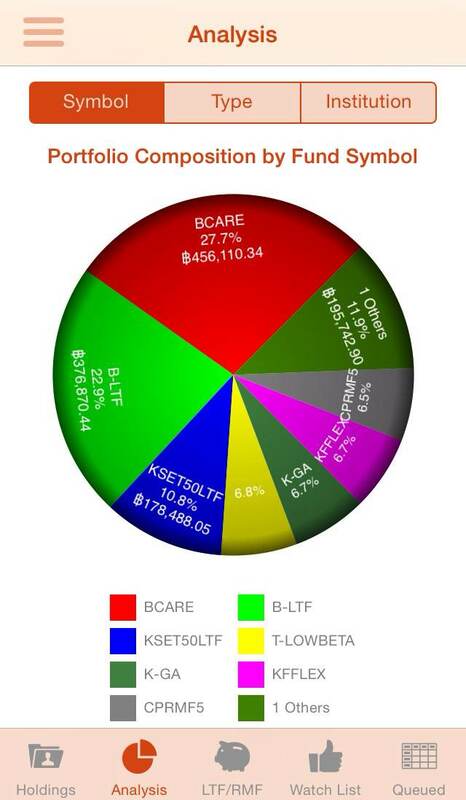 Analyze the distributions of your holdings. Set custom fund price and dividend alerts for the funds you are interested in. 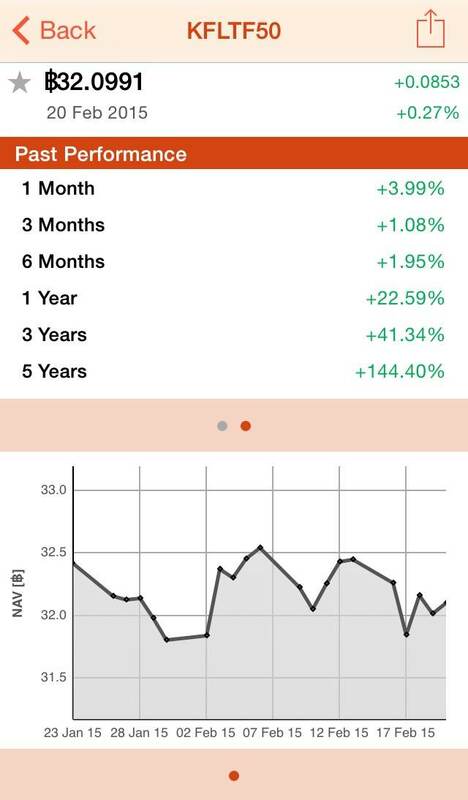 Free access to general fund price information and 15-day free trial access to portfolio on the app! 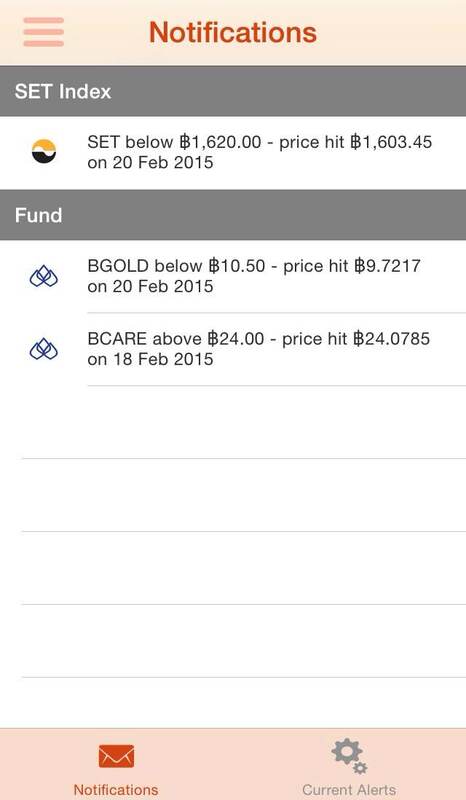 Access to general fund price information is always free with ads displayed. 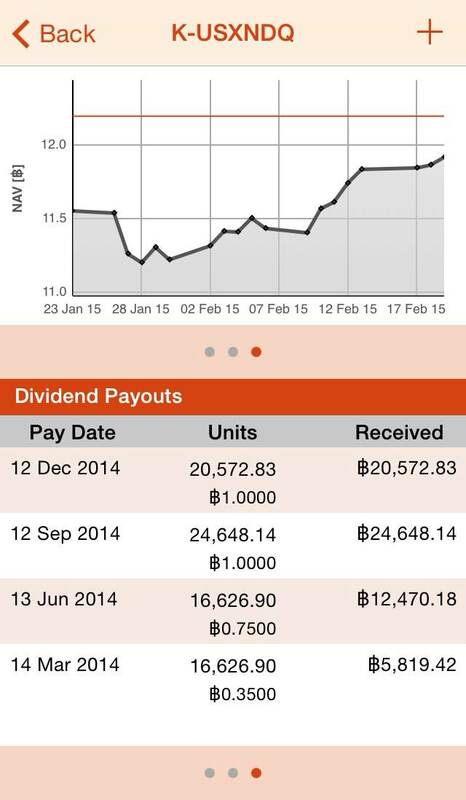 Best value for less than ฿1 a day! 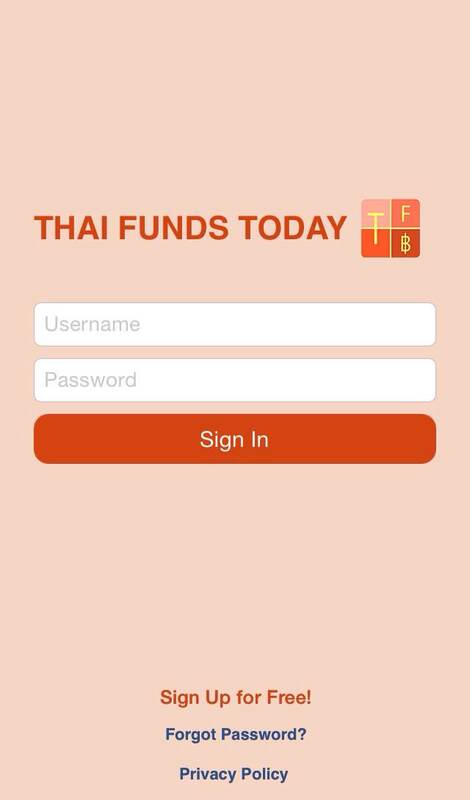 Thai Funds Today App comes with a 15-day free trial period during which all features are fully functional and the ads are inactivated. 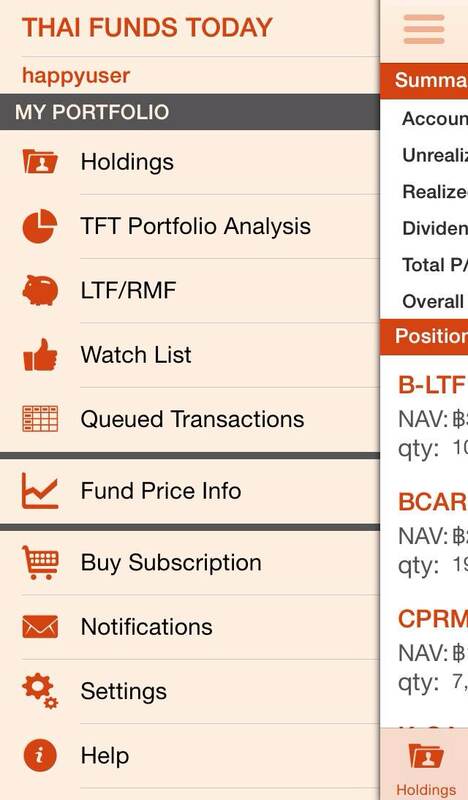 Once the free trial period is over, only the Fund Price Info function will be active and there will be ads displayed. 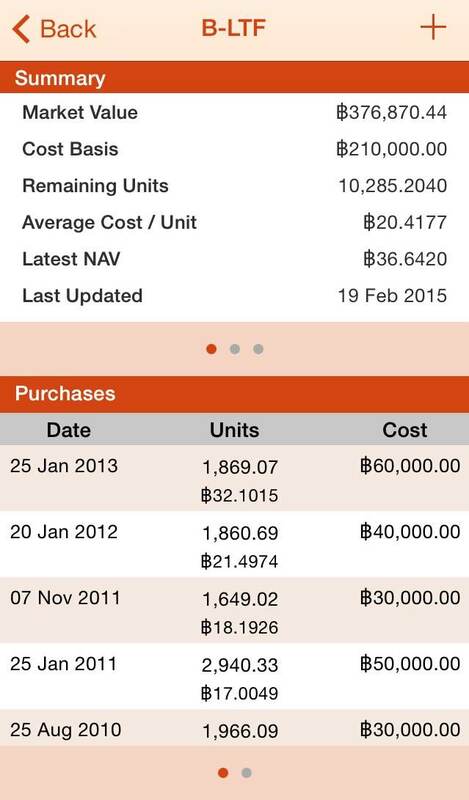 Subscription will allow you to access full feature of the app and also remove the ads display. We do not share your personally identifiable information to outside parties. 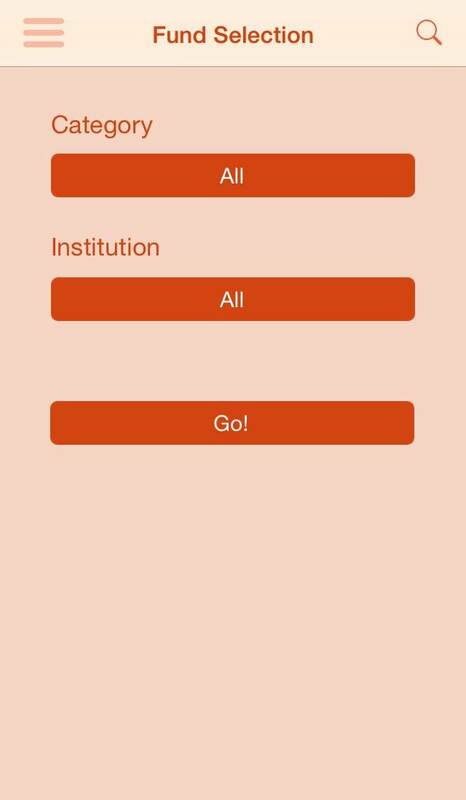 You may change your email address at any time through our website or through our app in the account settings section. Note that if you do change your email address, you will need to have your new email address verified again. 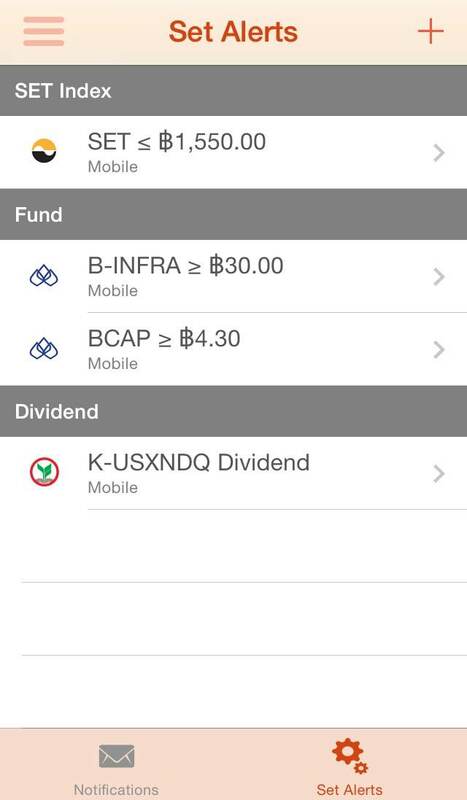 You can turn off (or on) your price and dividend alerts only through our app in the Notifications section.